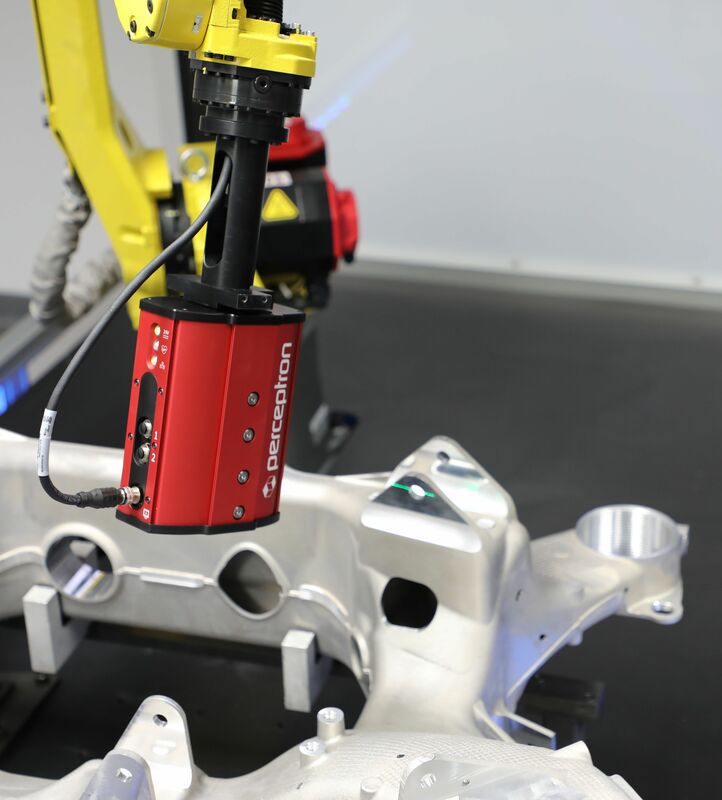 CAMBRIDGE, MA — September 6, 2018 — Energid Technologies today announced a partnership with Perceptron, Inc. to utilize Energid’s Actin® software in Perceptron’s new in-line and near-line robotic inspection systems for the automotive industry. The Actin software development kit (SDK) offers significant advantages to companies looking to improve their time to market for robotics solutions in time-sensitive and competitive markets. Perceptron develops, produces and sells a comprehensive range of automated industrial metrology products and solutions to manufacturing organizations for dimensional gauging, dimensional inspection and 3D scanning. Products include 3D machine vision solutions, robot guidance, coordinate measuring machines, laser scanning and advanced analysis software. Global automotive, aerospace and other manufacturing companies rely on Perceptron’s metrology solutions to assist in managing their complex manufacturing processes to improve quality, shorten product launch times and reduce costs. Headquartered in Plymouth, Michigan, USA, Perceptron has subsidiary operations in Brazil, China, Czech Republic, France, Germany, India, Italy, Japan, Singapore, Slovakia, Spain and the United Kingdom. For more information, please visit www.perceptron.com.